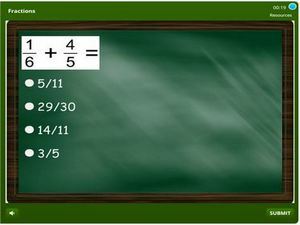 Fractions quiz online for 4th grade students. It features subtopics on addition, subtraction, division and multiplication of fractions. 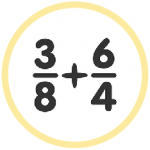 It also contains activities on equivalent fractions, finding missing denominators and numerators in equivalent fractions, concerting mixed fractions to whole numbers, simplifying fractions, converting fractions to decimals and more. This activity will evaluate your skills in various areas. You have the chance to take this test multiple times until you are apt in the topic. Click on the activity and start practicing.